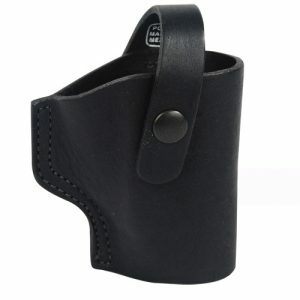 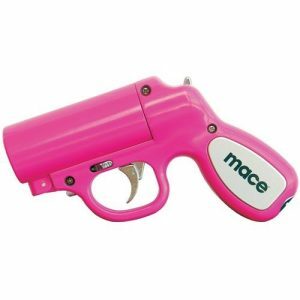 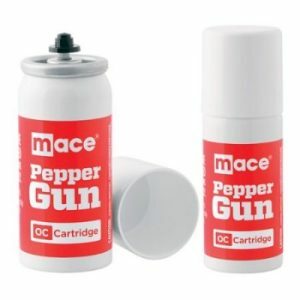 The MACE® Pepper Gun is the most accurate non-lethal self defense Pepper Spray available. 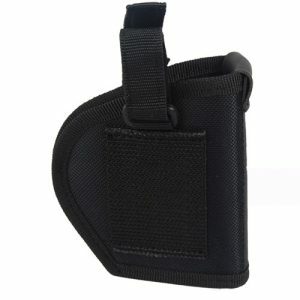 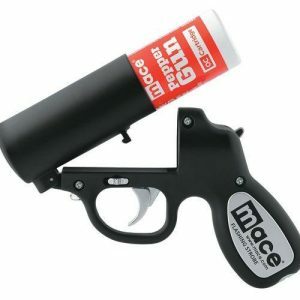 Ideal for distance defense with the convenience and accuracy of a point-and-shoot handgun design, its advanced delivery system allows you to spray attackers with a power stream of OC pepper from up to 20 feet away and from any angle. 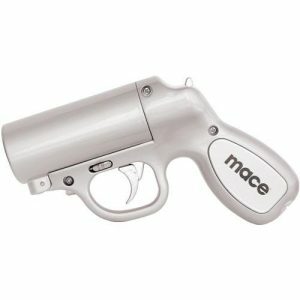 This MACE® Pepper Gun with STROBE LED features a trigger activated DUAL MODE LED light that distracts your attacker and helps aim at your target in the dark. 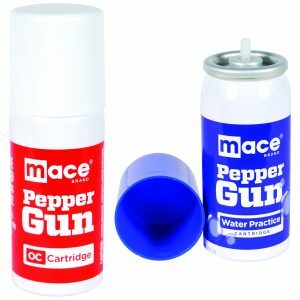 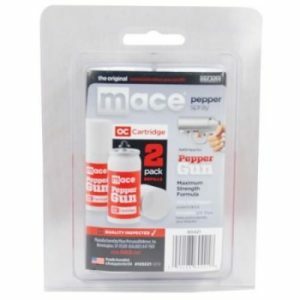 MACE® PEPPER GUN™ Uses Advanced Delivery System utilizing Bagin-a-Can™ Technology. 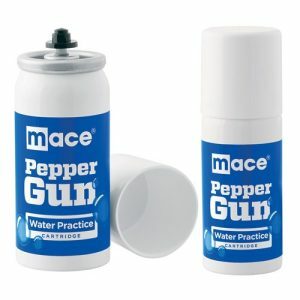 This new system allows the pepper spray to spray like an aerosol in a continuous fashion from any angle, even when Pepper Gun is held upside down. 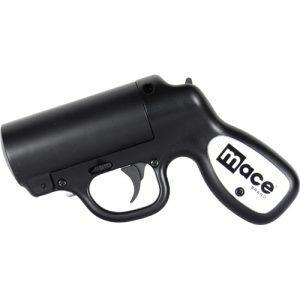 Trigger Activated LED Light allows for better aim and temporarily disorients intruder. 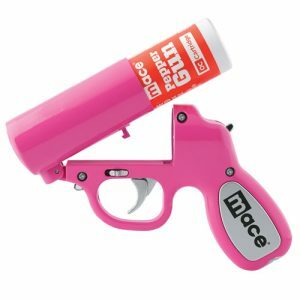 The MACE® PEPPER GUN™ Sprays up to 25 feet, and holds an OC cartridge that contains up to seven 25 foot blasts, cartridges are 28 grams. 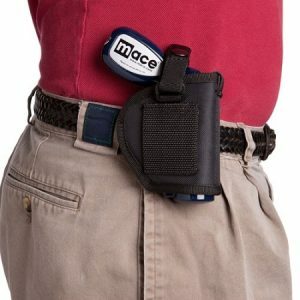 Pull the trigger once to activate the steady LED flashlight feature. 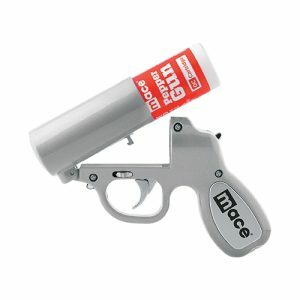 Pull the trigger a second time and the pulsating LED strobe light is engaged. 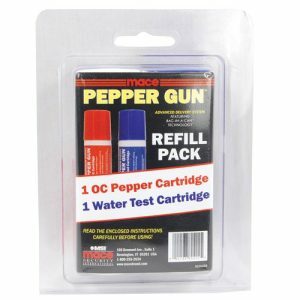 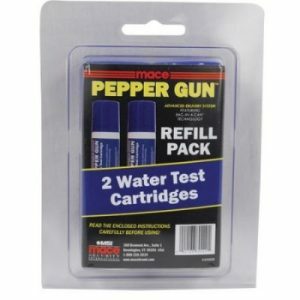 Available in a variety of colors, Pepper Guns are easy to reload with prefilled replacement cartridges and each gun includes (1) Water Practice cartridge (1) OC Pepper Spray cartridge and battery for LED light models.